NEW PRICE REDUCTION!!!! BEAUTIFUL CORNER LOT! 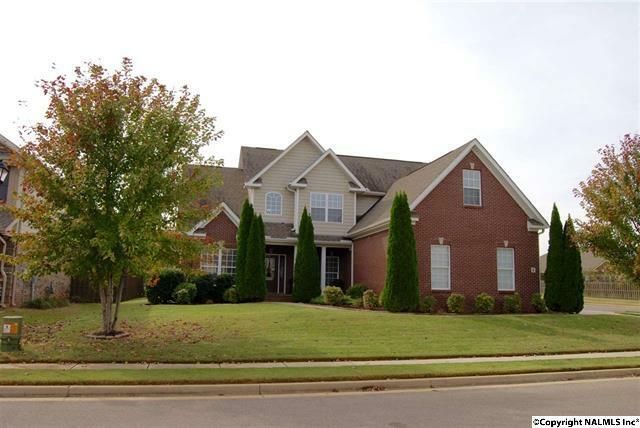 Minutes away from Redstone Arsenal, restricted community with: WALKING TRAILS, LAKE, POOL, AWESOME CLUBHOUSE, FITNESS AREA, TENNIS COURTS!!! Just installed New Hardwoods in kitchen area and sliding barn door in Master Suite! Nice cul-de-sac with a large lot, privacy fence with flat back yard. This yard has been manicured and meticulously maintained. 2 month old A/C unit with warranty! Unique open floor plan with main level Master suite AND extra bedroom! Upstairs has a great tucked away surprise! Vaulted ceilings, formal dining room, crown molding, plenty of upgrades! Home is move-in ready and a wonderful place to call home! Come see! Listing Office: Legacy Realty Group Inc. Contact Cameron James at Legacy Realty Group Inc.